Posted: Thursday, February 11, 2016. 5:36 pm CST. By Dalila Ical: Today, following complaints by people who were laid off over the past week, Martin Aguilar, Manager of the Packing House at Belize Fruit Packers confirmed that the subsidiary companies of Brooks Tropicals, Fruta Bomba and Belize Fruit Packers are closing its doors. 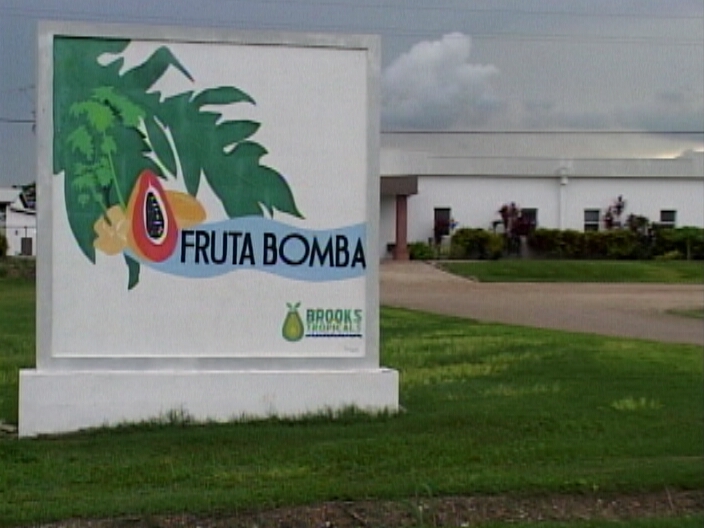 CEO of Brooks Tropicals, Greg Smith, in a statement issued today said that both companies will continue to operate for six more months from today. Aguilar confirmed the layoff of at least 28 employees from Fruta Bomba last week and another ten from Belize Fruit Packers. It may not be the end of the terminations since the companies are still evaluating the employee levels needed to meet their needs as they prepare to shut down. In the statement, CEO Smith explains the reasons for the “regrettable but unfortunately necessary” decision. It appears the company has incurred losses in the millions due the economic conditions in the country, “particularly after hurricane Dean in 2007 (which) have hindered the company’s substantial efforts to rebuild to a profitable operation”. Within the last three years, CEO Smith says they have made efforts to build and maintain an efficient growing and packing operation in the country, including the building of a 16, 000 square foot operations building and making improvements to the growing, packing and nursery facilities and processes. They have been unsuccessful, the statement goes on to say, as the company incurred “substantial annual losses in Belize that the company can no longer sustain”. The decision then was to close shop which means that more Belizeans will be out of a job within the next months. Smith’s statement does add however, that Brooks Tropicals will “work closely with its employees and the government of Belize to bring about a systematic closure that meets the laws of Belize” and that employees will be compensated accordingly under Belizean Laws.